It’s been a tumultuous month in the Big Brother house. On Wednesday night it all came to an end. The winner of Celebrity Big Brother Season 2 was crowned, following the final two HOH competitions of the season. The finale felt tight, compact, and a bit rushed. Just like the season as a whole. Still, it wasn’t without drama and a few final twists. So which celebrity took home the $250,000 grand prize, and who was sent home bitter? As I always state up-front – and much like my Survivor column for this very same outlet – what I plan to bring you this season isn’t exactly a blow-by-blow “recap” of the show. Instead, this includes my thoughts, analysis, and reaction to the episode (or episodes) that we just witnessed. In other words, I’ll assume that you’ve seen the episode(s) each time. So please, please, PLEASE, if you do not want to have the show spoiled, don’t read any further until you’ve seen the episode(s)! If you are a fan of Tom Green, then you most likely were thoroughly entertained by Celebrity Big Brother these past few days! When we last left off, Tom Green was just left shell-shocked after the surprise eviction of his best pal, Kato Kaelin. Tom was convinced that it was he who would be sent packing. 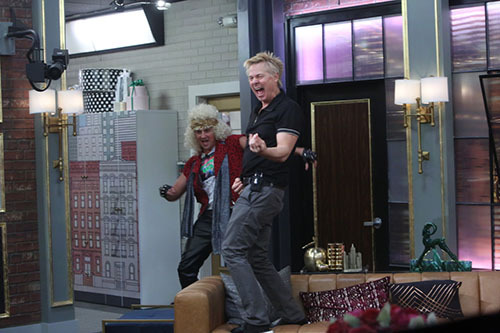 The next few days that followed would put Tom on a whirlwind tour of Celebrity Big Brother, from bottom to top and back around again…ending in a live double-eviction episode this past Friday that sets the stage for the Celebrity Big Brother Finale that’s coming Wednesday, Feb 13th. Wow is Celebrity Big Brother moving fast! Since we last checked in last Tuesday, we’ve had two more celebrities walk out the door over the course of episodes sporadically spread through the week last Wednesday, Friday and Monday. You’re a special kind of person if you can keep up with this show’s schedule…thank goodness for DVRs! As the most recent HOH’s shirt stated in big block letters, “Sorry Not Sorry,” behind the show’s famous “Expect the Unexpected,” this slogan perfectly sums up life in the Big Brother house. As I always state up-front – and much like my Survivor column for this very same outlet – what I plan to bring you this season isn’t exactly a blow-by-blow “recap” of the show, but rather my thoughts, analysis, and reaction to the episode (or episodes) that we just witnessed. In other words, I’ll assume that you’ve seen the episode(s) each time. So please, please, PLEASE, if you do not want to have the show spoiled, don’t read any further until you’ve seen the episode(s)! This article focuses on the Celebrity Big Brother episodes that aired on Sunday, January 27th and Monday, January 28th. So how much is too much Celebrity Big Brother? CBS asked that question this past week with FOUR new episodes to kick-off its 2nd season! The celebrity edition is definitely more of a sprint than the marathon in comparison to the “normal” Big Brother show. 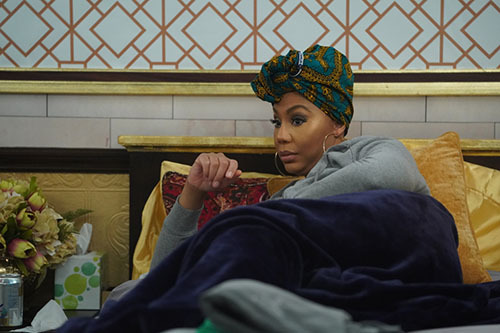 Still, through its first week, Celebrity Big Brother has absolutely lived up to the show’s motto: “Expect the unexpected.” Let’s dive into the highlights and my reaction to the show now that we’ve witnessed the first elimination episode of Season 2! As I always state up-front – and much like my Survivor column for this very same outlet – what I plan to bring you this season isn’t exactly a blow-by-blow “recap” of the show, but rather my thoughts, analysis, and reaction to the episode (or episodes) that we just witnessed. In other words, I’ll assume that you’ve seen the episode(s) each time, so please, please, PLEASE, if you do not want to have the show spoiled, don’t read any further until you’ve seen the episode(s)! Celebrity Big Brother Premiere Recap: Expect The Unexpected! 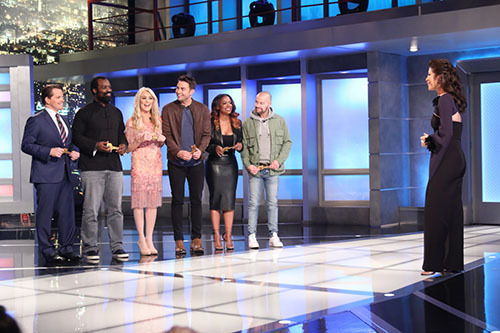 As Joey Lawrence would say, “Woah!” The second-ever American version of Celebrity Big Brother kicked off last night with the first half of a two-night premiere. The second half airs tonight. 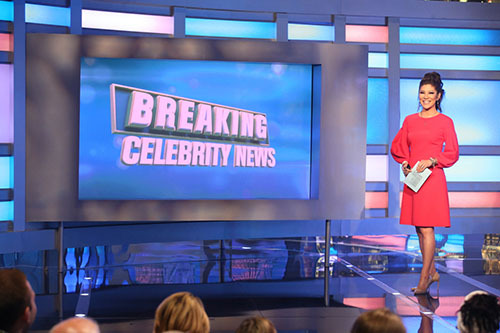 It served mainly as an introductory episode: To the house, to the game and to the 12 “celebrities” that will compete for the $250,000 grand prize. I am ecstatic to be bringing you “recaps” of Celebrity Big Brother this season and I for one feel like we’re off to a very interesting start! So why were the words “celebrities” and “recaps” put in quotes, you might ask? Well, that’s because it would be hard not to notice that the 12 contestants this season are not exactly…how shall I say…household names. How do you know you’re not a celebrity? Well for one, you find yourself competing on Celebrity Big Brother, for a cash grand prize and not for your favorite charity. In the same vein – and much like my Survivor column for this very same outlet – what I plan to bring you this season isn’t exactly a blow-by-blow “recap” of the show, but rather my thoughts, analysis, and reaction to the episode (or episodes) that we just witnessed. In other words, I’ll assume that you’ve seen the episode(s) each time, so please, please, PLEASE, if you do not want to have the show spoiled, don’t read any further until you’ve seen the episode(s)! 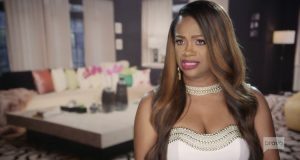 Celebrity Big Brother Cast Announced: Kandi Burruss, Dina Lohan, Ryan Lochte, & More! Longtime Big Brother host Julie Chen will return as host when the show starts up its second season in a couple weeks.